If you’re celebrating this weekend a new cocktail recipe book Beach Cocktails might put a spin in your cocktail shaker. From Cinco de Mayo fiestas to The Kentucky Derby, these recipes will get you in the mood for beach season and beyond. 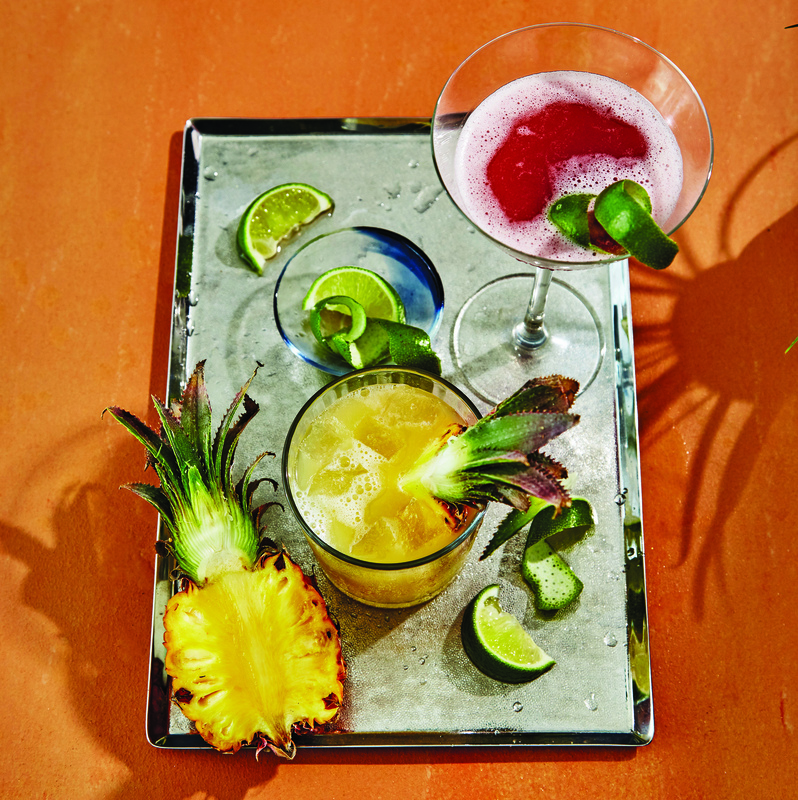 Pineapple juice infuses this tequila tipple with true tropical flavor. Combine the first 3 ingredients and, if desired, the Simple Syrup in an ice-filled cocktail shaker, and shake vigorously. Strain into an ice-filled rocks glass. Garnish, if desired. Combine the water and sugar in a saucepan over medium-high heat. Boil until the sugar dissolves. Remove from heat, and let stand 30 minutes. Strain and chill until ready to use. When Keith Richards of the Rolling Stones ordered a margarita at The Trident bar in the seaside town of Sausalito, California, in the early 70s, bartender Bobby Lozoff shook up this concoction instead. While it may have been The Eagles who crooned “Just Another Tequila Sunrise,” it was the Stones who took this ombre-hued, three-ingredient cocktail on the road to infamy. Pour the orange juice and tequila over ice in a highball glass; add Grenadine. Do not stir. Garnish, if desired. This Trader Vic’s cocktail from the 40s is a blushing tequila spin on today’s trendy Moscow Mule. A dash of crème de cassis, French black currant liqueur, adds a touch of sweetness and lends the drink a devilish color. The complex flavor of aged reposado tequila is a good match for ginger beer’s assertive flavor. Reposado is aged in wood barrels that lend a mellow character to the liquor. Be aware that some versions contain added flavorings and colorings. See page 41 for more about tequila. Combine the first 4 ingredients in an ice-filled cocktail shaker, and shake vigorously. Strain into an ice-filled highball glass. Garnish, if desired. 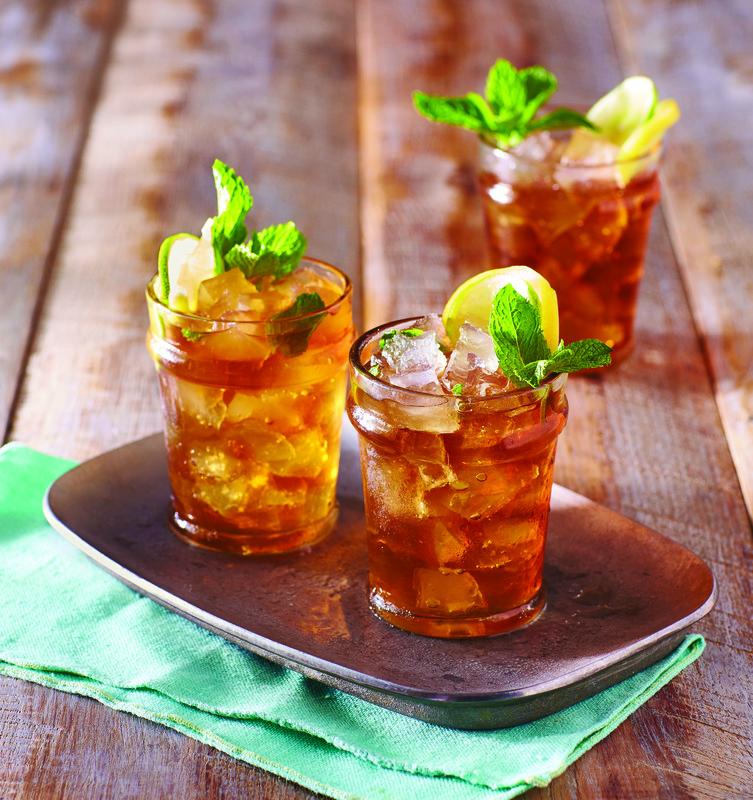 This tea holds all the tasty secrets of the mint julep—bracingly fragrant mint and the sweet burn of bourbon—along with fresh lemon, lime, and sweetened tea. Mix it up to create a summer-ready drink for the adults in your circle. Combine the first 3 ingredients in a 2-quart pitcher. Crush with a spoon until mint is bruised. Stir in bourbon and tea. Serve over ice. Garnish, if desired. Cheers! Bottoms Up! It’s time for a beach cocktail! 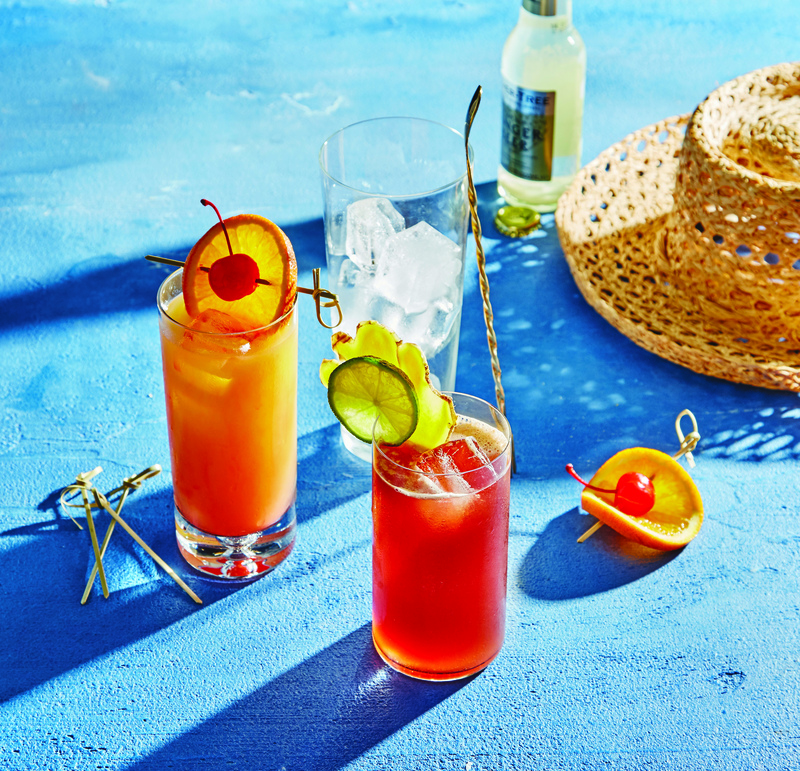 Whether you are on the shores of a sandy beach or at home with a gathering of friends, serve up thirst-quenching flavored cocktails of the coast like Hawaiian Mai Tais, Cuban Daiquiri’s, Key West Rum Runners or a Brazilian Caipirinhas! Over the last 20 years Coastal Living has provided readers with the best of seaside life, and now with BEACH COCKTAILS they serve up delicious cocktail recipes alongside beautifully photographed coastal scenery to delight the casual reader, mixologist, or guest alike. More than just a pretty cocktail book, BEACH COCKTAILS covers it all: learn the origin and key ingredients of tiki bar favorites, gear up with the 4-1-1 on must-have bar essentials, and refresh your bar-basics like making simple syrups, creating fun garnishes and learning to muddle! 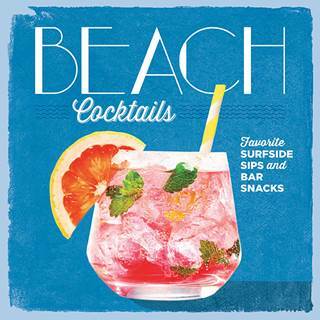 Whether you prefer a classic sip on the sand, a cutting-edge contemporary toddy, or a refreshing mocktail while watching the tide roll in, BEACH COCKTAILS is your thirst-aid kit. Credit: Excerpted from Beach Cocktails by the Editors of Coastal Living. Copyright © 2017 Oxmoor House. Reprinted with permission from Time Inc. Books, a division of Time Inc. New York, NY. All rights reserved.